One Canada Square is a stunning, art deco inspired venue in the heart of the bustling epicentre that is Canary Wharf. 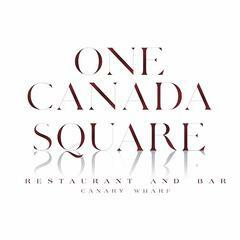 Located in the lobby of the iconic One Canada Square tower, the restaurant and bar's award winning design combined with the finest cocktails, wines and a divine European menu make for an irresistible combination! Serving breakfast, lunch and dinner throughout the week, plus a hugely popular bottomless brunch on Saturdays, the venue offers the perfect solution for occasions with a little added style!